I am a PhD student at the Robotics and Perception Group led by Prof. Davide Scaramuzza. 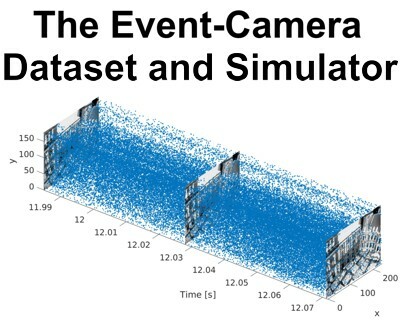 Currently, I am working on event-based vision for high-speed robotics and air-ground robot collaboration. In 2010 and 2012, I received my Bachelor's and Master's degree in Mechanical Engineering from ETH Zurich, respectively. During my studies at ETH, I was focusing on robotics, dynamics, and computer vision. I wrote my Master thesis at MIT under the supervision of Prof. John J. Leonard on visual SLAM for space applications. 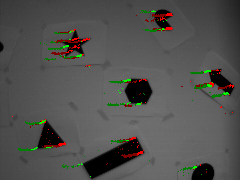 Unlike a standard CMOS camera, a DVS does not wastefully send full image frames at a fixed frame rate. Conversely, similar to the human eye, it only transmits pixel-level brightness changes at the time they occur with microsecond resolution, thus, offering the possibility to create a perception pipeline whose latency is negligible compared to the dynamics of the robot. 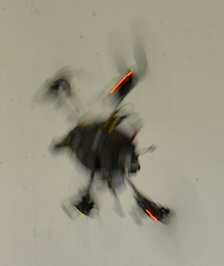 We exploit these characteristics to estimate the pose of a quadrotor with respect to a known pattern during high-speed maneuvers, such as flips, with rotational speeds up to 1,200 degrees a second. We presented our work at the IEEE/RSJ International Conference on Intelligent Robots and Systems (IROS) in 2014. It was also featured on IEEE Spectrum. Please find more details about our research on event-based vision here. IEEE/RSJ International Conference on Intelligent Robots and Systems (IROS), Daejeon, 2016.
International Conference on Event-Based Control, Communication and Signal Processing (EBCCSP), Krakow, 2016. European Conference on Mobile Robots (ECMR), Lincoln, 2015. IEEE International Symposium on Circuits and Systems (ISCAS), Lisbon, 2015. Robotics: Science and Systems (RSS), Rome, 2015. IEEE/RSJ International Conference on Intelligent Robots and Systems (IROS), Chicago, 2014. 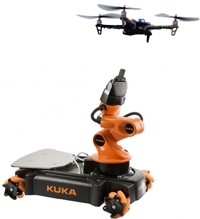 We develop strategies for aerial and ground robots to work together as a team. By doing so, the robots can profit from each others capabilites. 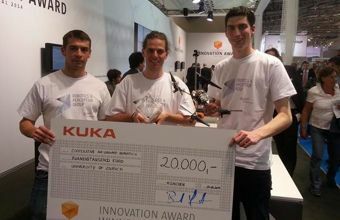 Our demonstration won the KUKA Innovation Award 2014 and was presented in a paper at the IEEE International Symposium on Safety, Security, and Rescue Robotics (SSRR) in 2014. We released this video on Easter 2013. 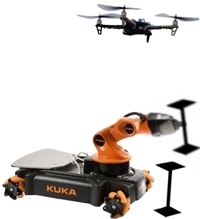 A quadrotor is flying above a ground robot while looking for Easter eggs that lie on the ground. It then tells the ground robot the exact position of these eggs, so that all of them can be collected. This video was accepted for the video session at the International Joint Conference on Artificial Intelligence (IJCAI) 2013 in Beijing, China. IEEE International Symposium on Safety, Security, and Rescue Robotics (SSRR), Toyako-cho, 2014. During my Master thesis at the Computer Science and Artificial Intelligence Lab (CSAIL) at MIT under the supervision of Professor John Leonard, I implemented a visual mapping algorithm that is capable of creating a 3D model of an unknown and uncooperative space target, e.g. a satellite, using a stereo camera. 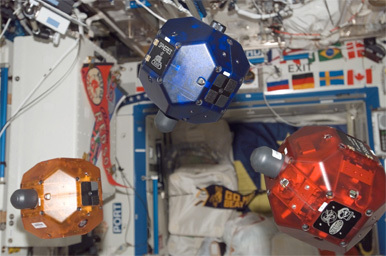 The code was tested aboard the International Space Station (ISS). This algorithm will later be used for relative navigation, inspection, and docking maneuvers in space. International Symposium on Artificial Intelligence, Robotics and Automation in Space (i-SAIRAS), Turin, 2012. I wrote my Semester thesis at the Institute of Dynamic Systems and Control at the ETH Zurich about robotic calligraphy. 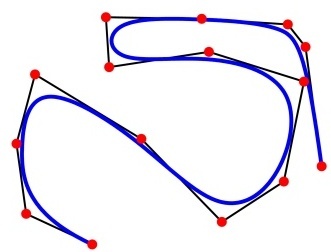 During this project, I implemented a trajectory generator that enabled the robot to draw Chinese characters, used computer vision algorithms to compare the drawn characters with a reference from a textbook, and applied an iterative learning controller to improve the robot's next drawing. IEEE/RSJ International Conference on Intelligent Robots and Systems (IROS), Vilamoura, 2012.